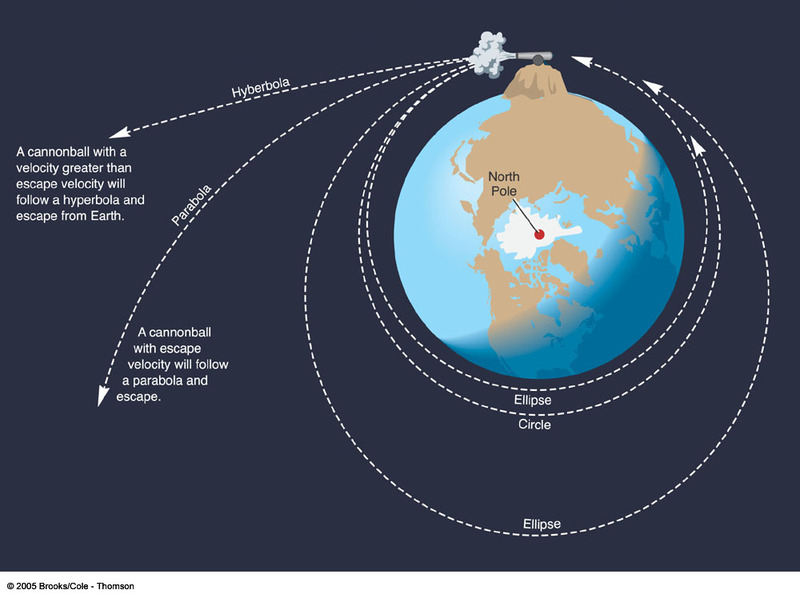 An orbit is a regular, repeating path that an object in space takes around another object. Turns out that all orbits are conic sections. 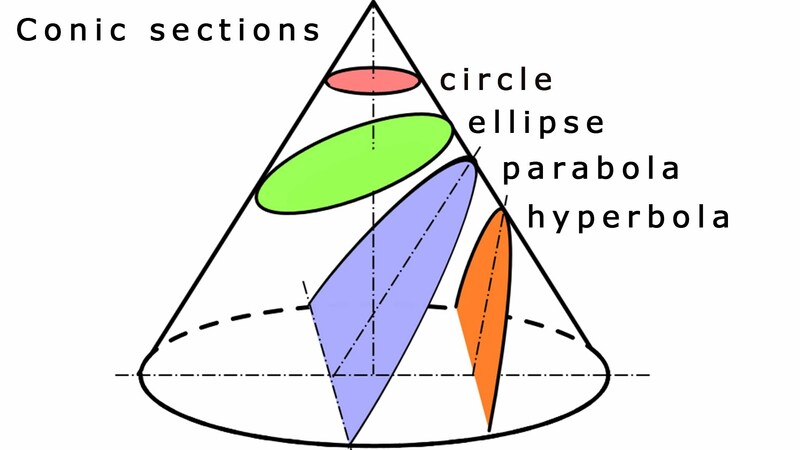 Conic sections are curves formed by the intersection of a cone and a plane cutting it at various angles. The angle of the plane relative to the cone determines whether the section is a circle, ellipse, parabola, or hyperbola. Here is another way of illustrating orbits as conic sections. Depending on how you launch a satellite into space, your spaceship can have an orbit with any of these shapes. Here’s an interesting question – what is the speed of an object in a hyperbolic orbit, when it is extremely far – effectively infinitely far – from the sun? We call this speed Vinf. This article shows us how to calculate it: What the heck is V inf? At this point we might want to be reminded – what is a hyperbola and what is an asymptote. HS-ESS1-4. Use Kepler’s laws to predict the motion of orbiting objects in the solar system. with, other objects in the solar system. MA.3.a. (+) Use equations and graphs of conic sections to model real-world problems. Gravitational, electric, and magnetic forces between a pair of objects do not require that they be in contact. These forces are explained by force fields that contain energy and can transfer energy through space. These fields can be mapped by their effect on a test object (mass, charge, or magnet, respectively). Objects with mass are sources of gravitational fields and are affected by the gravitational fields of all other objects with mass. Gravitational forces are always attractive. For two human-scale objects, these forces are too small to observe without sensitive instrumentation. Gravitational interactions are non-negligible, however, when very massive objects are involved. Thus the gravitational force due to Earth, acting on an object near Earth’s surface, pulls that object toward the planet’s center. 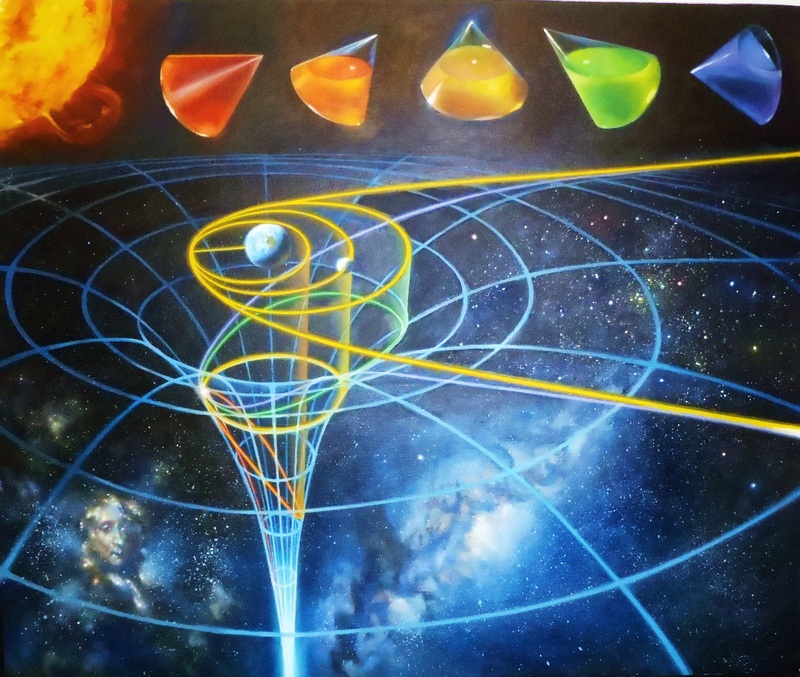 Newton’s law of universal gravitation provides the mathematical model to describe and predict the effects of gravitational forces between distant objects. These long-range gravitational interactions govern the evolution and maintenance of large-scale structures in the universe (e.g., the solar system, galaxies) and the patterns of motion within them… Newton’s law of universal gravitation and Coulomb’s law provide the mathematical models to describe and predict the effects of gravitational and electrostatic forces between distant objects.